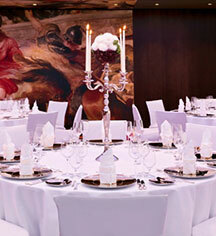 Say “Yes” and let the creative, detail-oriented event team at Hotel Vier Jahreszeiten Kempinski Munich amaze, captivate, and enchant you! 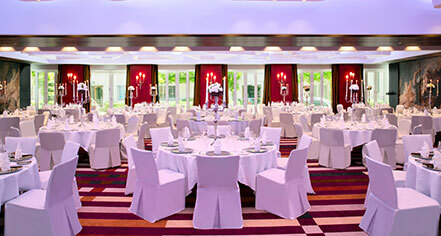 Enjoy your special day in a beautifully decorated venue. Let your most breathtaking wedding fantasies come true and create special moments that will be locked in your memory for a lifetime. Customize any wedding package to your unique taste and personality and make your wedding a day to remember, filled with happiness and the class and elegance you have always dreamed of. What would one of life’s most important moments be without beautifully arranged wedding flowers? If you are looking for something really different, we can assist in finding the perfect flowers for your wedding and the flower arrangements will surpass your highest expectations. Ian Baker, Pâtissier of 2015 is a "sweet" lover. He finished his education under a baking legend: David Avery created the wedding cake of Lady Diana and Prince Charles. Imagine a work of art that reflects your personal style and wedding theme: two tiered, three tiered, or multi-tiered extravaganza – for you and your guests to enjoy.